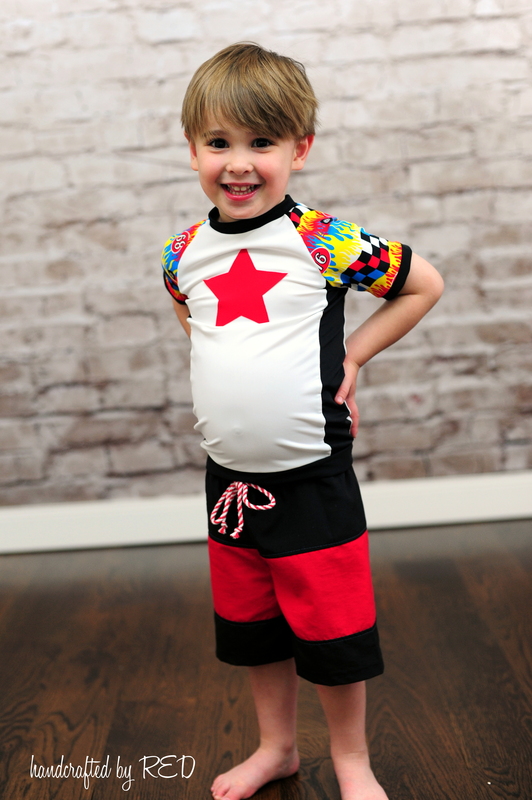 Color Blocking Fabric 101 - Add some fun to your favorite patterns! - Peek-a-Boo Pages - Patterns, Fabric & More! 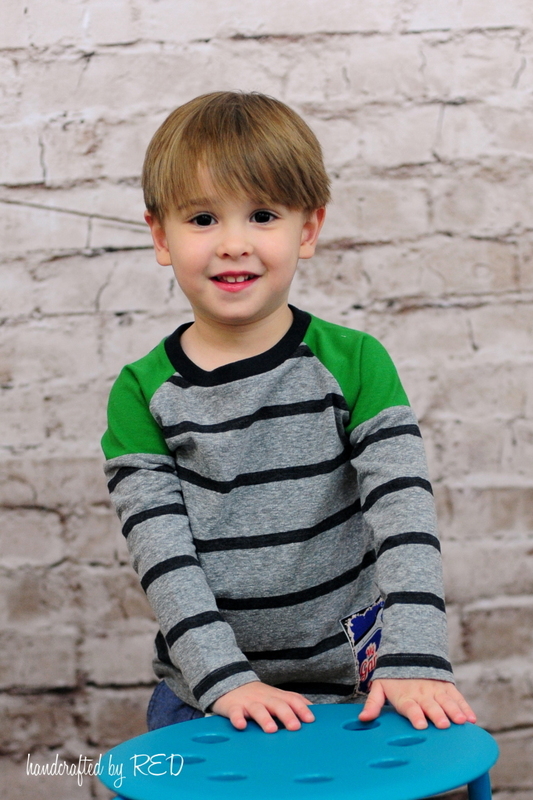 Color Blocking Fabric 101 – Add some fun to your favorite patterns! 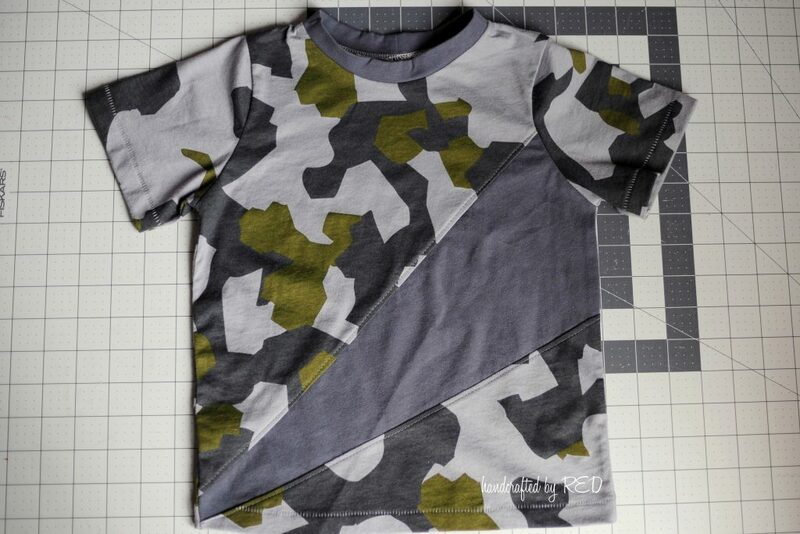 Here’s how I did this one (and another design with the same pattern). 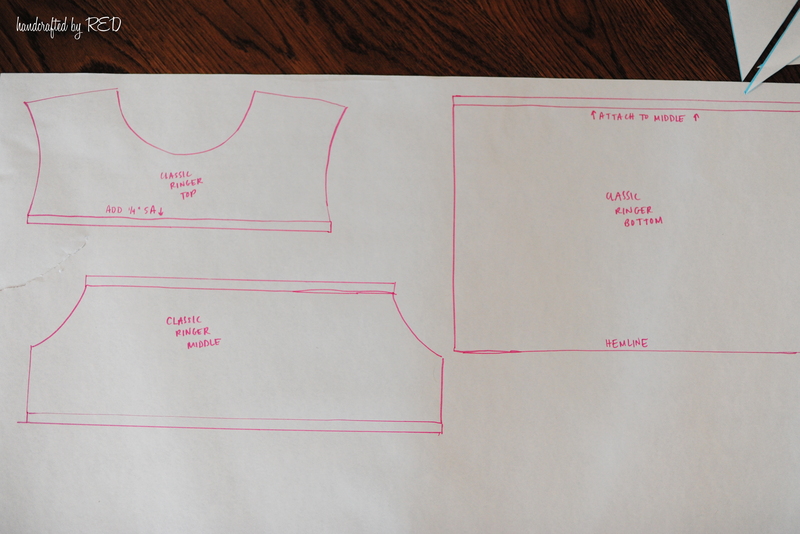 I started by tracing my pattern so I had full pattern pieces to work with – no longer to be placed on the fold. 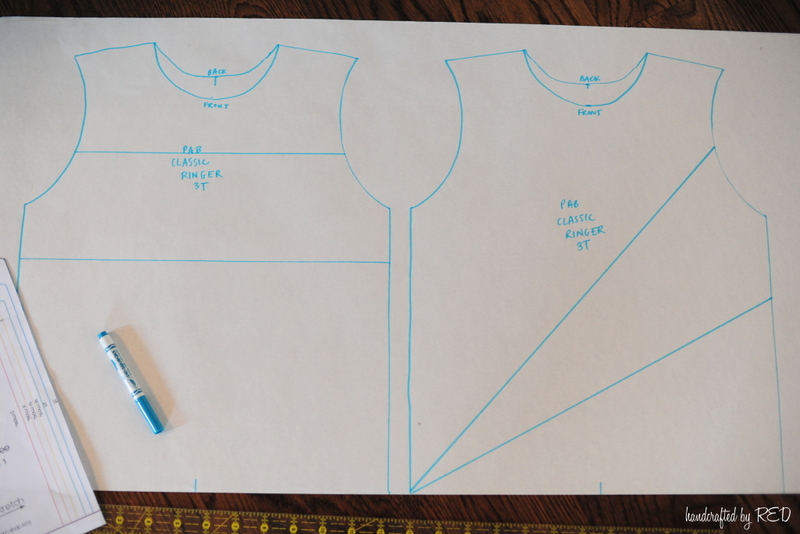 I used my ruler to mark lines where I wanted my colorblocking to be, and then cut the pieces apart at those lines. 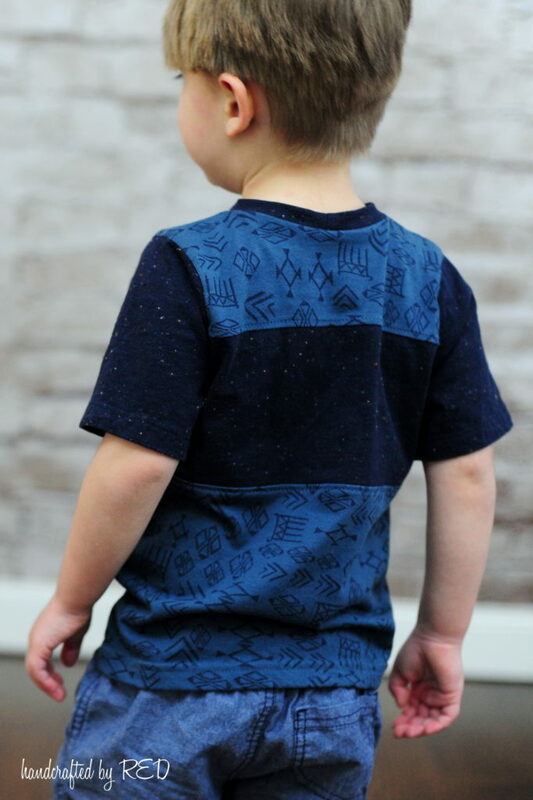 I also sewed up a couple of Grand Slam tees for my little guy by color blocking the sleeves – I did the same thing as shown above, by cutting the sleeve pattern piece in two and adding a small seam allowance to each cut edge before cutting my fabric and reassembling. These are my short and long sleeve versions, both cut in the same place on the sleeve (just below the underarm). The other method I used to color block is to actually piece the fabric together FIRST, and then cut my pattern pieces directly from the blocked fabric. It’s sometimes a little tricky to make sure everything is lined up in the right place to be symmetrical, but that’s the toughest part. Honest. 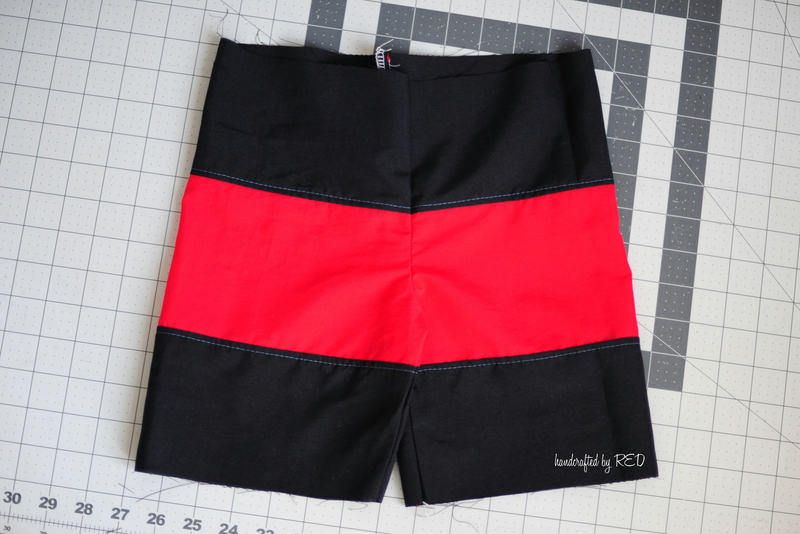 This black and red fabric was pieced together to become a pair of Surfs Up Board Shorts, also in a size 3T. I measured the height of my pattern pieces and then divided roughly by 3 to determine the finished height of each of my stripes. 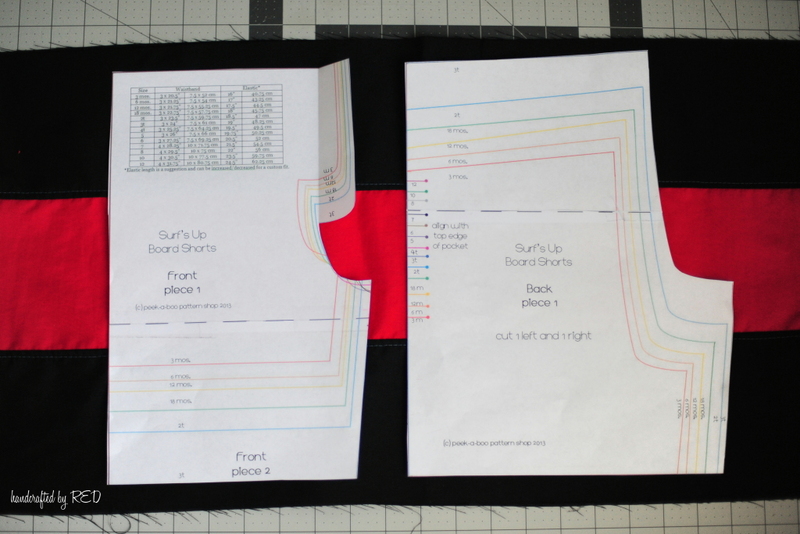 You’ll want to remember to add seam allowance here as well. 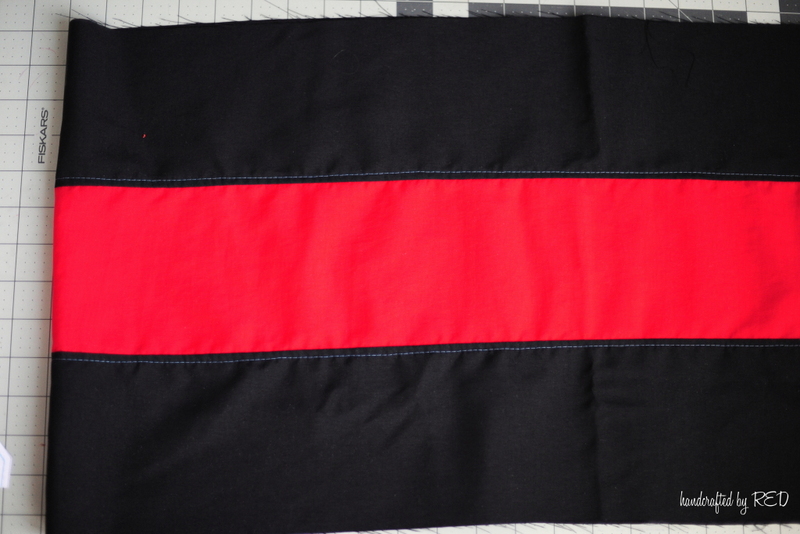 I sewed and serged the strips together, and topstitched in place. 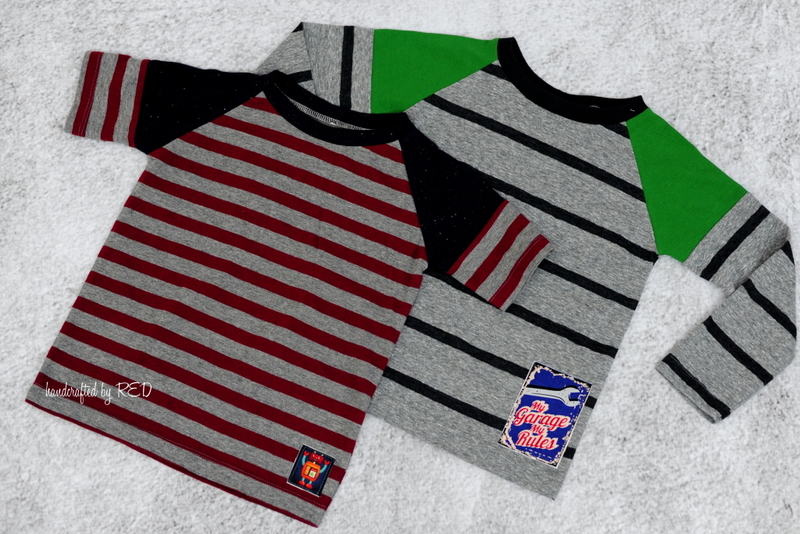 If you have a kid who is sensitive to seams on the inside of his/her clothes, you’ll definitely want to topstitch when colorblocking, since it tends to add a number of additional seams to the garment. 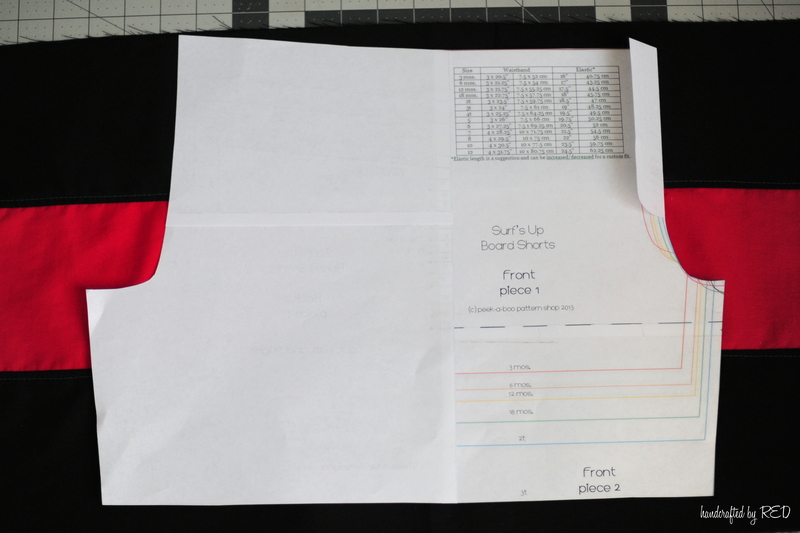 Once my fabric was pieced together, I placed the pattern pieces down, making sure that the stripes would line up when constructing the legs of the shorts. To that end, I decided it would be easier if I eliminated the side seam. 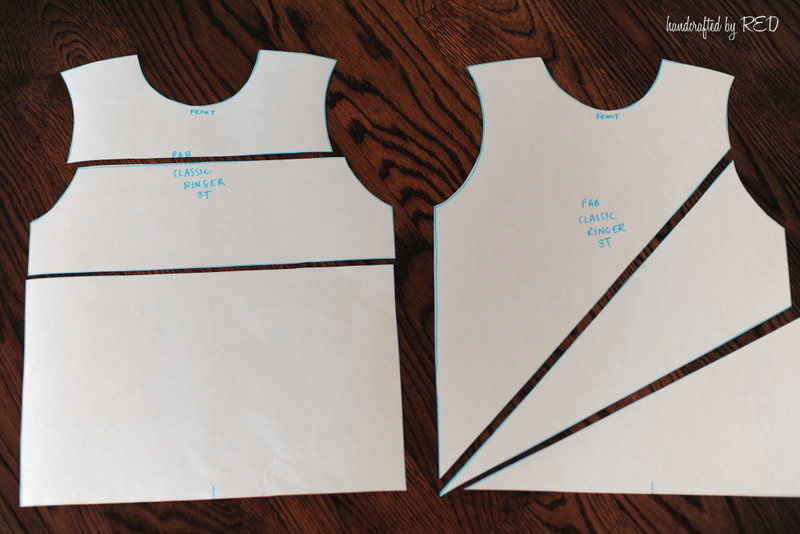 I did that by overlapping the front and back pattern pieces to remove the seam allowance that was added when the pattern was drafted, as you can see below. If you look carefully, you can see how the pieces overlap in the middle by 1/2″. I also decided for the sake of simplicity to omit the faux fly, so I did that by simply folding the fly piece back and cutting the front rise along the curve that remained. You can see that in the image below as well, at the right side of the picture. After cutting, you should have one piece for each leg – they’ll be the mirror image of each other. 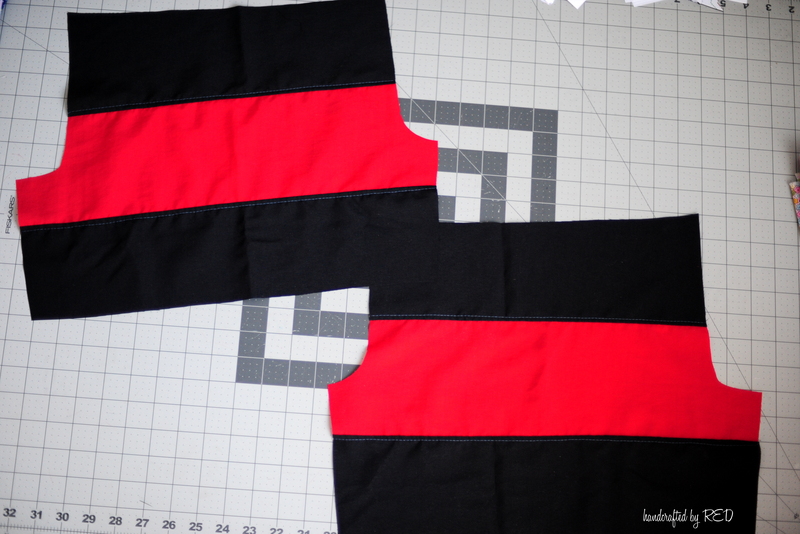 Again, you’ll want to take care when sewing the pieces together to make sure that all of your stripes are still aligned in the seams. Sometimes it helps to baste the pieces in place, check to be sure that the stripes are in place, and then sew over your basting line. 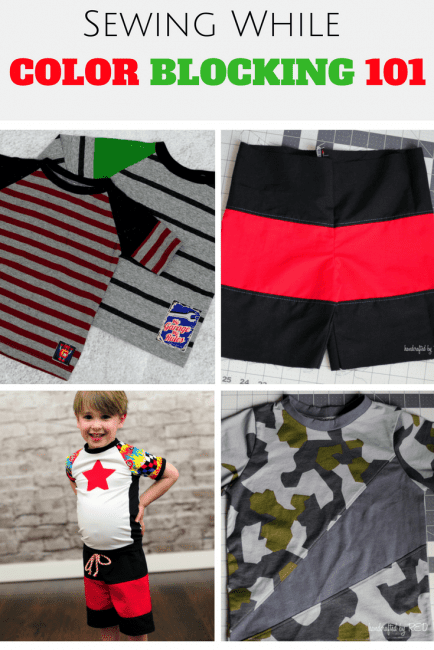 I hope you’ll have some fun with these ideas and please make sure to share your color blocked (and other) sews with us over in the Peekaboo Patterns Facebook group – we’d love to see what you’ve been working on!